You are here: Home › Whitehall Times › Obituaries › Obituary: Norman E. Carr Sr.
Obituary: Norman E. Carr Sr.
home Monday November 26, 2018, surrounded by his loving family. Born July 11, 1937, he was the son of the late Cyrill and Anna Carr of Port Henry NY. Following graduation from Port Henry Central School, class of 1957, Norman joined the United States Air Force in 1958 serving our country until his honorable discharge in 1962. On April 15, 1967 Norman married Jean M. Redmond. Norman was employed with International Paper Mill of Ticonderoga for 37 years and retired in 1999. He also was a member of the band Shadow Five along with his two brothers. 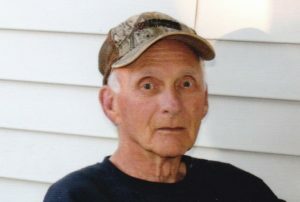 He enjoyed his retirement by camping and fishing up at Port Henry campground for several years, and most recently at Mapleridge Campground in Crown Point. All of them were his friends, family, and extended camp family and they enjoyed many laughs, and good times. When he wasn’t at camp you could usually find him at home around a nice campfire, with his feline companions Peanut, Tanner, and Jimbo. Besides his parents Norman is predeceased by, his brother James Carr, and his sister Carolyn Carr. The family would like to extend a special thank you for the Care and Compassion from Brandy Ross RN and Brooke Morgan Physical Therapist of Fort Hudson Home Health Care, and Dr. Mihindu. At Norman’s request, there will be no calling hours. A memorial service will take place at a later date in the spring. Donations in loving memory of Norman E. Carr Sr, may be made to Skenesborough EMS, 37 Skenesborough Drive, Whitehall, NY 12887.